We’re impressed by the devotion of a writer billed only as “Thomas,” who runs a blog entirely devoted to KitchenAid. 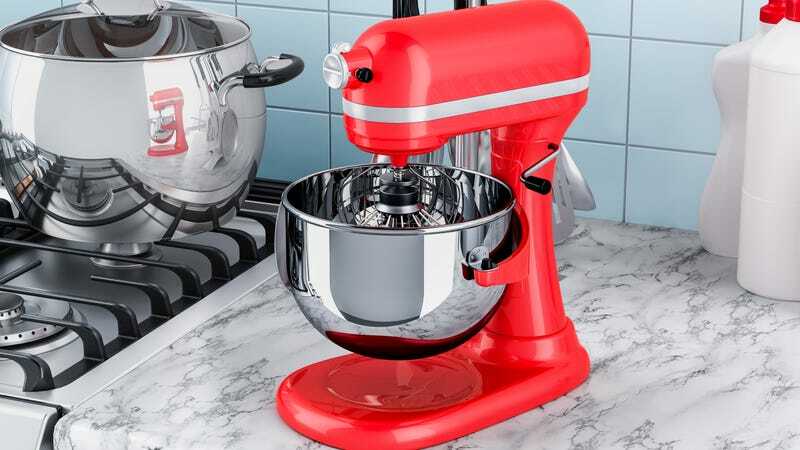 As he says on his site, KitchenAid World, “I’m simply a fan writing about a brand I’ve used and loved for years,” exploring “all corners of the brand and its products.” Among the features of the beloved KitchenAid stand mixer are an entire rainbow of color options. Your kitchen counter can be fired up with a snappy fire-engine red standing-mixer appliance, or calmed down with a honeydew melon shade. (That is, if you are lucky enough to have a counter with room for a KitchenAid mixer. I do not.) But what’s the most popular shade? To find out, Thomas headed to Google, calculating which shades were searched for most. As he explains his methodology in great detail, he started by collecting Google keyword search volume data for each of the 87 main mixer colors (there are even more if you include limited-run options; Thomas said he pulled all the colors from recent years). He then used Google Trends to compare colors with similar search volumes. The results are somewhat surprising. Let’s keep in mind that these aren’t actual sales numbers, but instead the KitchenAid colors that people searched for. Even so, Empire Red, which I thought was a shoo-in, only rates as number nine, barely edging out number 11, Candy Apple Red. Other selections in the Top 10 include the lovely Sea Glass (number 7), the neutral Almond Cream (number 8), the classic Chrome (number 5). Raspberry Ice clocks in at number 10—who has a fuschia-themed kitchen? But that’s still far from the most popular pink: Pink. Yes, the classic standard is the most-searched KitchenAid shade. Thomas helpfully explains, “As long as KitchenAid is making stand mixers, I can promise they will be making them in pink. Pink was one of the three original choices when KitchenAid first introduced color options in 1955. Those choices were called Petal Pink, Sunshine Yellow, and Satin Copper. Pink has been an iconic color for the product ever since.” Last year’s inaugural KitchenAid Color Of The Year was Bird Of Paradise, a sort of in-between peachy-orange color not too far off from pink. Thomas goes on to show that “pink KitchenAid” has 28.9 million search results, while “honeydew KitchenAid” has 1.1 million, kicking it to the very bottom of the list. Hey, I’d grab a honeydew KitchenAid mixer for the gourmet kitchen that still exists onlyin my head. Anyway, it’s a fun project by someone clearly devoted to the wonders of stand mixers; read more at KitchenAid World.